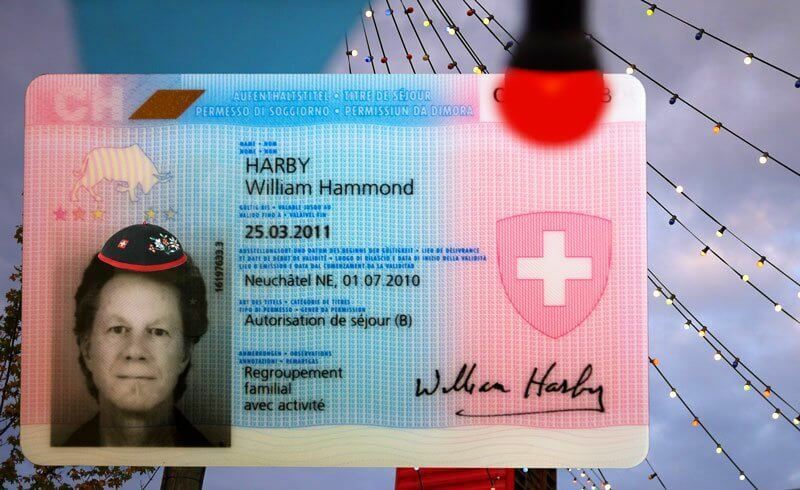 Unless I do something seriously forbidden like weed-whacking on a Sunday, I will obtain my long-coveted C Permit in March - allowing me to stay in Switzerland indefinitely. I'm skittish about committing any cultural faux pas because of what recently happened to Irving Dunn. Herr Dunn, an American citizen, has lived in Canton Schwyz for 43 years. He speaks fluent German and is a professor emeritus at one of the the most prestigious Swiss universities. Yet, he was recently denied Swiss citizenship, more or less because he couldn't name all the lakes in Schwyz. After only five years living in Switzerland, I'm not yet ready to apply for Swiss citizenship even though I can already name all the lakes in my canton of Neuchâtel. But I desperately want my C Permit. Then I won't have to keep re-applying each year for my flimsy B Permit. With only the B, if I thoughtlessly crank up the weed-whacker one Sunday, disturbing our neurotic next-door neighbors who are still angry because four years ago we objected to them building a mammoth water tank right outside our living room window, they would no doubt complain to the village Committee de la Tranquillité - if there is such a thing. Then my wife might find herself an émigré-widow, her husband exiled back to the New World where citizens are allowed to wreak noisy havoc with weed-whackers, assault rifles and other tools any day of the week. The C Permit will also allow me to vote in communal (town) and cantonal (state) elections. I'm looking forward to this partly because, as an American pretty much limited to choosing between the candidates of a mere two parties which somehow manage to be polar opposites even while both are largely controlled by corporate oligarchs, I'm giddy to be able to choose between a buffet of as many as seven parties that often compromise and work together to help their country. Also, even more exciting, I think I'll be eligible to launch one of the direct-democracy referenda that Switzerland is famous for. My first one will be that my enlightened canton of Neuchâtel adopt Monsieur Irving Dunn and grant him instant Swiss citizenship - as soon as he can name Neuchâtel's lakes.